And so to the French Grand Prix. Perhaps for the last time (although we thought that last year), the F1 circus makes its way out into the French countryside to the unloved circuit of Magny Cours. With Bernie Ecclestone wanting a GP in or near Paris, Magny Cours has been under threat for a few years now and few have spoken up in its favor. With its lack of passing places, it has been notorious for producing processional races and its inaccessibility also has counted against it. Traditionally, too, it has been a Ferrari circuit and so would not be mourned by those who want to see close racing. But perhaps we should not be too hasty in wishing it farewell. There is a danger of losing the French GP altogether if the Nevers track is summarily cut from the calendar. Dreams of a street race through Paris are never going to come to fruition, since there is insufficient will and money to make that happen, and the idea of a new circuit to be built in Disneyland near the French capital is no nearer fruition. Would it not be foolish to allow one circuit to disappear from the schedule before another is ready to take its place? The fans can suggest all sorts of alternative venues dredged from France's rich motor racing history, such places as Reims, Le Mans and Paul Ricard springing to mind instantly. But there are problems associated with all of these, not least of which is that Bernie seems totally uninterested in a return to older tracks. He wants something new and glitzy and the F1 world is going to have to live with that fact. For the moment, therefore, Magny Cours remains the only viable circuit for a French GP. Its distance from major urban centers does not seem a problem in this age of televised races, as I have pointed out before, and it does at least meet current standards of safety. Rather than risk losing the French GP to yet another characterless Tilkedrome in Asia, an idea that I suspect is at the heart of Bernie's annual threats to put an end to Magny Cours' event, we should be hanging on to what we have got. The French GP is one of F1's great traditions, after all, the first GP of all and a race in the heart of European motor racing. We should not allow it to disappear, even for a year or two while some fancy showpiece is built in Paris. Let Bernie get on with his wheeling and dealing, let him have a confirmed agreement for a new circuit in his back pocket and work begun, that is the time to call a halt to the Magny Cours GP. That may sound as though I don't trust the little man. And I would have to admit that I do not; this is the guy who deprived us of the glories of Spa for a year in the not so distant past, remember. I had better not mention the United States GP or this could turn into a rant. Bernie's priorities are very different from those of the F1 enthusiast and he is much too eager to sell F1's heritage for a quick buck. Let him sort out a decent alternative venure before he starts threatening those we have. It holds some happy memories for me as I watched the '06 Grand Prix there. We saw stacks of overtaking that day too, with drivers squeezing in a pass by taking some crazy lines on the final turn... Granted that was in the support races, but it showed that overtaking is possible. Aren't we being too quick to blame the track, when it's the really the often discussed issues with the Aero' on the cars that is the issue? Although with Lewis taking his 10 place drop there is a slim chance we'll see some on-track overtaking this weekend! With Lewis's 10-place penalty, I think there's lots more than just a "slim chance" of seeing on-track overtaking. Lewis is going to go balls-to-the-wall for he has nothing to lose. Regarding the French Grand Prix: I agree with you, Clive. Let Bernie wheel & deal for a Paris location...but in the meantime, let's keep MC going. I understand your point Clive but I couldn't care if Magny Cours never appeared on the calendar again. France has had a history of great tracks and in addition to those you have mentioned Dijon springs instantly to mind so it annoys me intensely that I have been subjected to this travesty of a circuit for so long purely for reasons of French domestic politics. There was no logic or justification for building the circuit where they did and the track layout is worse than anything Tilke has come up with. 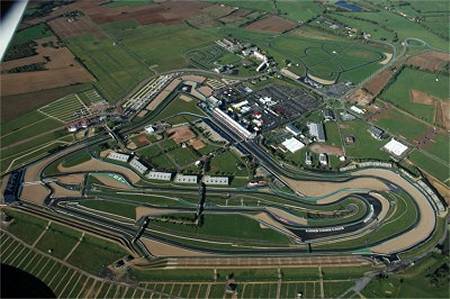 Bernie constantly talks about taking away the British GP but he constantly offers the French a long term GP if only they would give him an alternative to Magny Cours. I saw the WSC there in the early 90s and it was a totally forgetable experience. The only thing I remember apart from the desolation of the place and the complete lack of a crowd was that the door got blown/sucked off Derek Warwick's Peugeot 905. Who won the race? I have no idea. I would prefer a USGP over Magny Cours..
Indianapolis provides much more overtaking opportunities. As historically droll as this track supposedly is, I think it's due for its greatest race of all time. At least we can count on GP2 having some serious wrecks. completley off topic-but what is this I hear about a hike in the cost of a f1 superliscence and talk of a possible drivers strike? The superlicense fees were announced before the season started. Drivers now have to pay a much higher fee than before and an additional fee for each point scored the previous season. So you end up with ridiculous situations like Lewis Hamilton scoring 109 points while on a very low (by F1 standards) salary. Had he not been able to re-negotiate his deal a huge percentage of his salary would have gone on his license. At the same time Jenson Button and Rubens Barrichello who have made big salaries for years have comparativele small license fees. Max's justification for the hike was that he wanted to deter spurious license applications. Quite how Kimi Raikkonen paying an obscene amount of money for a piece of paper is going to deter spurious applications is beyond me. Max also claimed that drivers should pay for safety upgrades they requested which is beyond stupid. There will not be a strike. If I could find a bookmaker giving any kind of odds on a strike happening I would put a large some of money on the strike not happening. I have very little liking for Magny Cours but I guess it is better than nothing. It's not really in competition with the USGP, however; the best answer there would be for the French GP to remain on the calendar and the US to be re-instated for 2009!